What’s Up Pizzas?!? This week you get the usual suspects Curtis Fisher, Emma Skies, David Webb and Cory Vincent and we are bringing you all of this week’s BIGGEST NEWS STORIES! We weigh the moral implications of Blizzard announcing record earnings and laying off 800 employees on the same day. We talk about Nintendo Direct Highlights: Mario Maker 2, Marvel Ultimate Alliance 3: The Black Order, Super Smash Bros v3.0 and Zelda Link’s Awakening. ALSO… TETRIS. HAS. A. BATTLE. ROYALE. MODE… We get back into the controversy when we talk about Deadmau5 and his use of a homophobic slur that caused him to quit Twitch entirely. 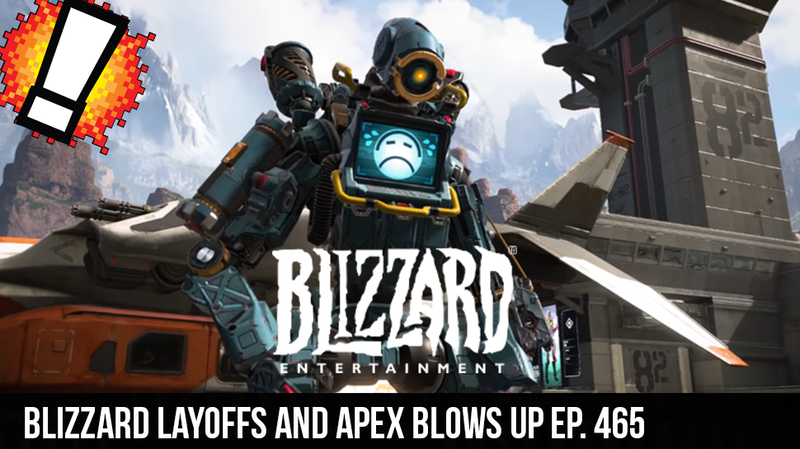 Next we talk about Apex Legends continued success and most recent patch updates. We talk about the first big Tournament, its 30 million hours watched on Twitch, the best and worst weapons in the game and A WHOLE LOT MORE!